Unicorns are simply the best. Most kids love unicorns and can’t get enough of their magical horns. 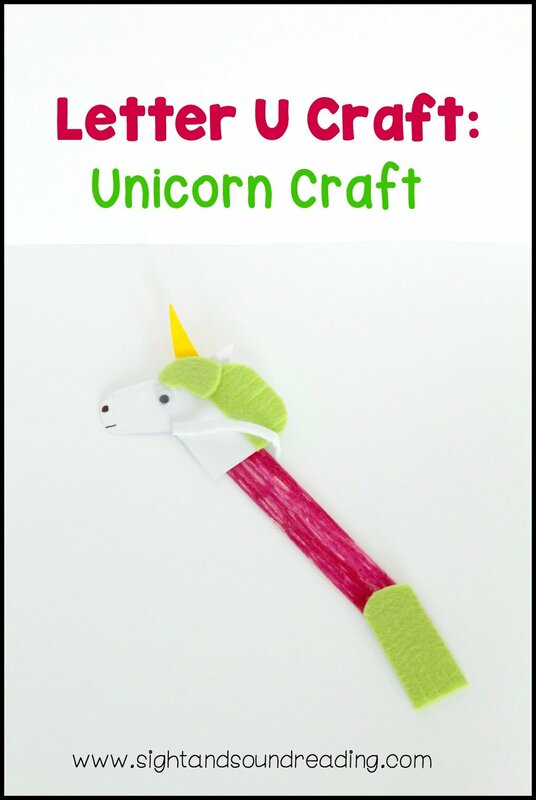 Help kids learn about the letter U and unicorns when making this Letter U craft. This little craft is a unicorn bookmark and mimics the design of a hobby horse. Kids will get a kick out of their unicorn hobby horse crafts and they will be able to use the bookmarks later at home or school to save their place inside books. Make sure each bookmark is labeled with each child’s name so they don’t get mixed up. In advance, you’ll want to cut the pieces out for each child. Each child will need one craft stick, 1 unicorn head, 1 unicorn horn, 1 tail, 1 mane, and 1 harness. Cut these out of paper in advance and store in a little plastic baggie to make it easier for the kids to use. Have the kids color the craft stick any color they want with markers. Draw a smile onto the unicorn’s face. Glue the horn, eye, mane, and tail in place on the unicorn. This unicorn is a hobbyhorse bookmark, so glue the harness in place around its neck. Once the glue is dry, the unicorn is flat enough to be used as a bookmark. Kids will love how they can take this craft home and use it to save their place inside books. Why just make a craft that will get thrown away? 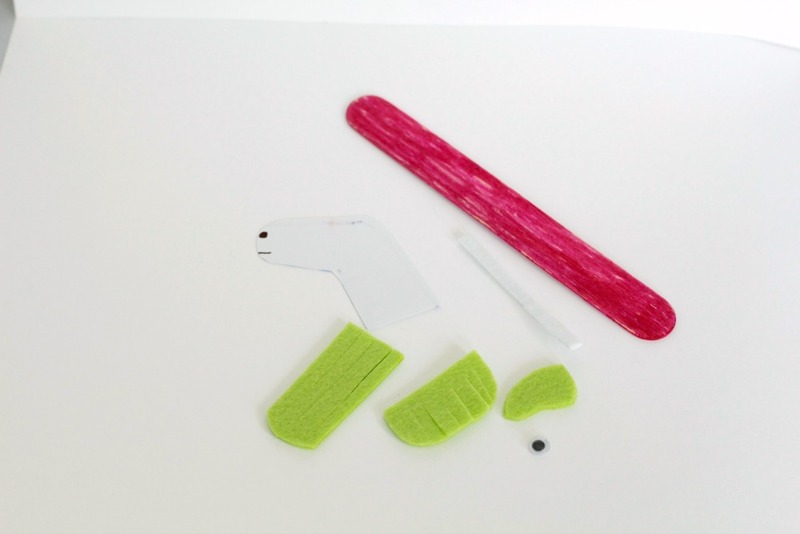 The unicorn bookmark craft can be used by kids for weeks or even years. Free Letter U Worksheet Pack!